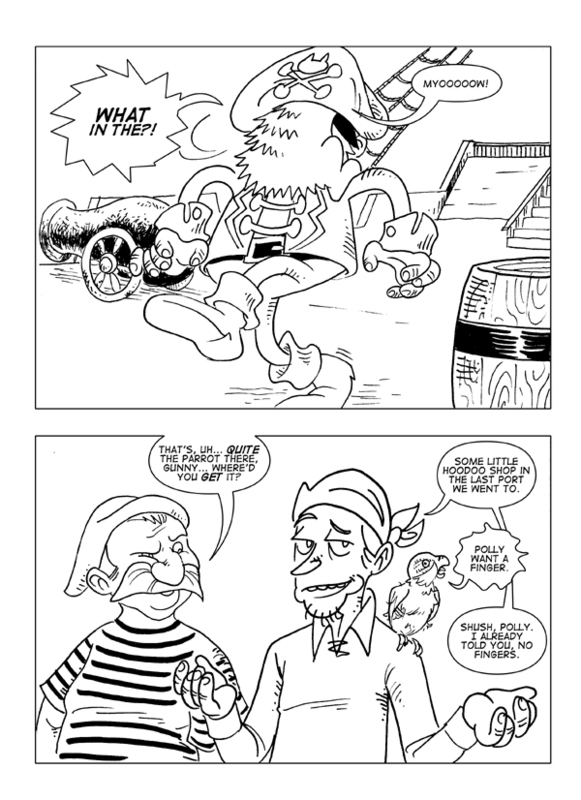 Watch the Birdie, Page 3 of 3 – Catbeard the Pirate! Assuming my file count is correct, this is the fiftieth Catbeard strip! Here’s to another 50, and many more beyond!